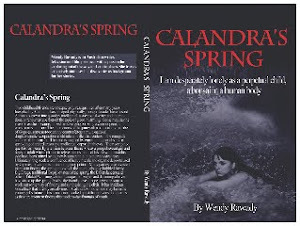 When I was writing 'Calandra's Spring', the characters grew, with their personalities expanding as I plunged deeper into their stories. The narrative led this process, taking me to Japan, Eastern Europe, Australia, New Zealand, Paris and London. This was not random, but a result of the mechanics of the story - where would these people function best? Who would behave like this? and many other 'what ifs' became part of my daily life. At my side was a large Atlas and I would consult it every day, then further researching each place and ethnicity, particularly those of the Gypsies, until I decided on what to include. I own a Gypsy dictionary and my mother had told me much of the folklore when I was very young. Who knew then, that it would be so useful! I am glad the lives of my characters intersect across so many borders as life is, at its be, a multicultural feast!